Every year, in the fall, the Indian community of Colorado Springs join together to put up a show with songs and dances highlighting the rich cultural heritage of India. 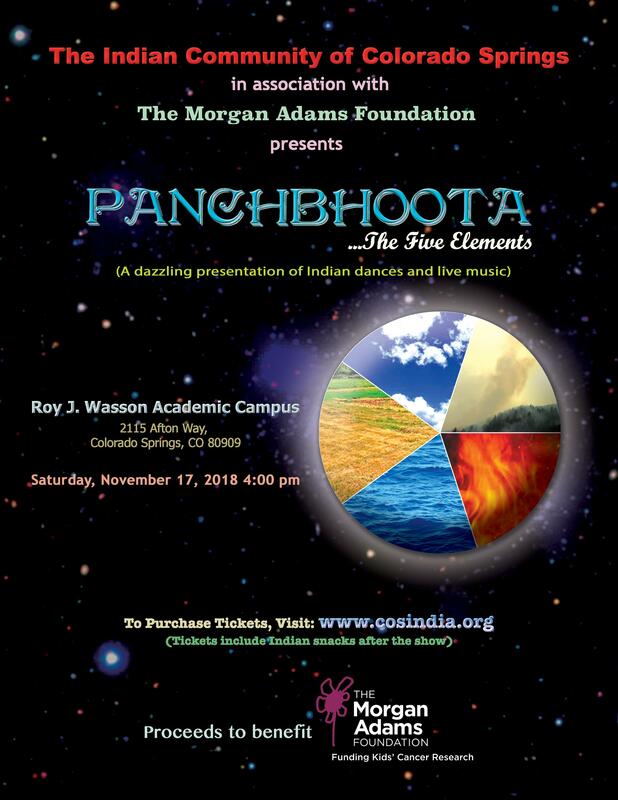 The performance features Indian classical, folk and modern dances along with beautifully performed live music covering many, many years of Indian history. 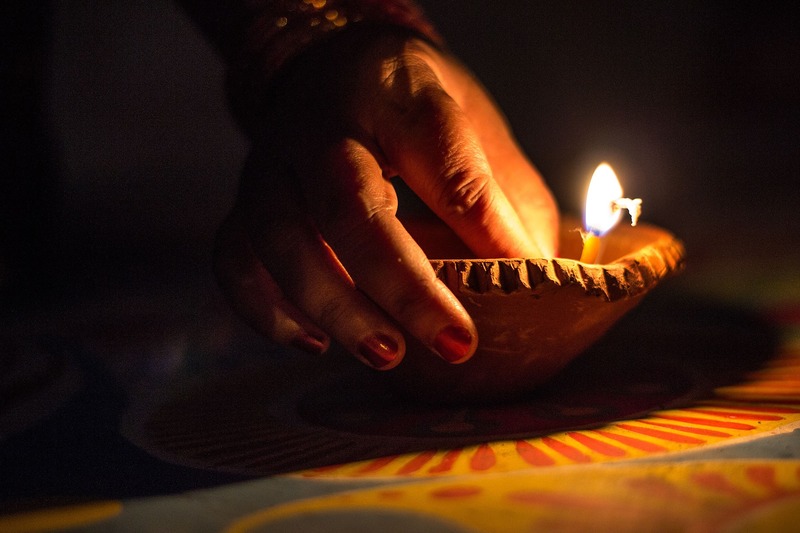 Of all the festivals celebrated in India, Diwali is the most glamorous one. Homes are decorated with lighted lamps to create a magical atmosphere of joy and festivity. 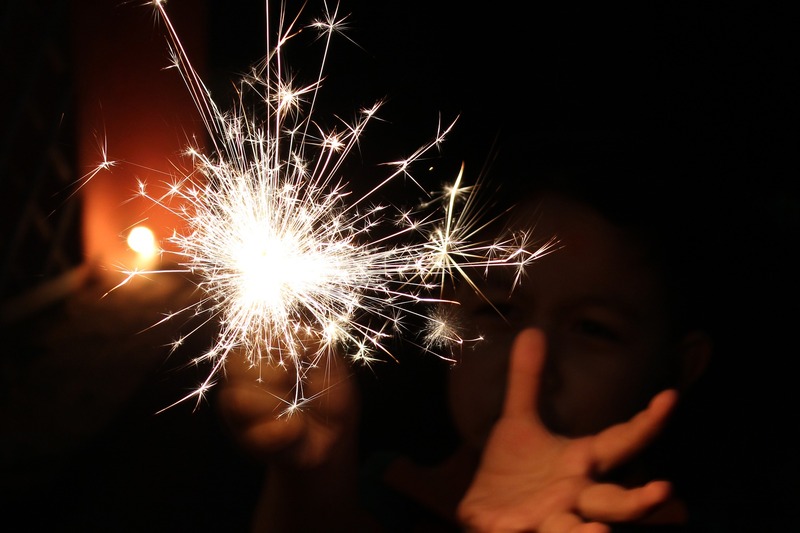 Diwali celebrations in India are similar to Christmas celebrations in the USA. In the north, Diwali is celebrated for king Rama's return after his epic war with Ravana, the demon king of Lanka. In the south, legend concerns the victory of good over evil. Narakasura, the demon of hell, challenged Krishna for a battle. After a fierce fight lasting two days, the demon was killed. The Morgan Adams Foundation supports laboratory and clinical research in the area of pediatric cancer, with an emphasis on brain tumors, spine tumors and central nervous system tumors.